The LG G2's extensive software features, glossy, plastic finish and an excellent 5.2in screen make it easy to compare to the Galaxy S4, but the software is overwhelming, and LG's decision to move all physical buttons to the back of the handset doesn't quite hit the mark. LG's new flagship smartphone certainly has much to live up to. As a clear competitor to Samsung's Galaxy S4, the G2 is immediately playing catch-up to one of the most popular phones on the market. 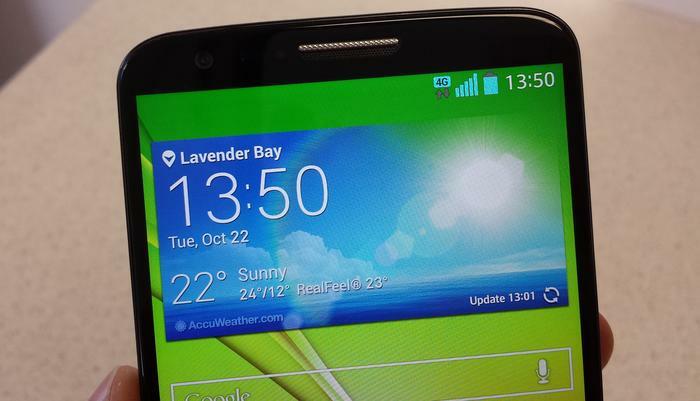 Its extensive software features, glossy, plastic finish and an excellent 5.2in screen make it easy to compare to the Galaxy S4, but the software is overwhelming, many of the extra features don't add much to the user experience, and LG's decision to move all physical buttons to the back of the handset doesn't quite hit the mark. The LG G2 is constructed largely from plastic, but it does feel a little sturdier than the Galaxy S4. The hard, glossy surface on the back has an attractive, etched pattern printed into it, and it doesn't creak or rattle when pressed. The lack of a removable back cover certainly helps in this regard, though this means the battery isn't removable and there's no microSD card slot — two features of the Galaxy S4. The G2 might just be the slipperiest smartphone we've ever held. The key design feature is LG's decision to put the volume rocker and power buttons on the back of the phone, just below the rear camera lens. The company's official explanation for this move is that most users' fingers naturally rest where the buttons are, so it will prevent stretching your fingers to reach the keys if they were placed on the top, or the sides. While this makes sense in theory, it doesn't work as seamlessly in real world use. We often accidentally pressed the lock screen key when aiming for the volume down button. Because the buttons are just below the camera, we also ended up smearing our grubby fingerprints all over the lens. Speaking of fingerprints, the G2 might just be the slipperiest smartphone we've ever held. The device just feels like it's on a water slide every time it's in your hands and immediately becomes slimy, so we definitely recommend using a case to avoid dropping it (like we did). The G2 attracts plenty of fingerprints and has a slimy feel. LG's 'knock on' implementation isn't perfect as it doesn't work every time. To aid the odd, rear button placement, LG has included a feature called "knock on" that unlocks the screen when you double-tap it quickly, and locks it again when you double-tap the status bar or an empty area on the home or lock screens. It's a great feature and an intuitive way to compliment the rear buttons. Unfortunately, LG's implementation isn't perfect as it doesn't work every time, frustratingly leaving you frantically tapping on the screen. The LG G2's 5.2in IPS screen is the killer feature of this device. Highlighted by a super thin 2.5mm bezel, the display almost looks like a completely edge-to-edge screen. It's a full HD 1080p display with a resolution of 1920x1080 and it offers superb colour reproduction, excellent clarity and is bright and clear. It also performs very well in direct sunlight, and displays super crisp text. Overall, it's one of the best looking displays on any smartphone we've ever reviewed. The G2's 5.2in IPS screen is one of the best on the market. LG has followed Samsung's path when it comes to Android, as it has completely skinned the 4.2 Jelly Bean UI with its own overlay. This interface overlay adds some unique features but many of them are gimmicks that you won't use too often. We aren't a fan of the overall look and feel of the skin which is rather cartoon-like, though whether you agree really comes down to personal taste. Like Samsung, LG's default tones sound hideous, so we recommend spending some time turning them all off on the G2, particularly the horrible notification tone. 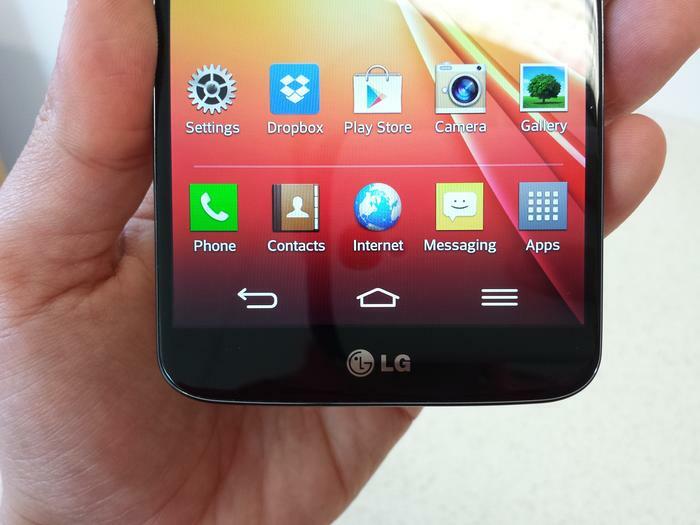 LG's desire to cram many features into the G2 makes it less intuitive to use. LG's overwhelming desire to cram as many features into the G2 as possible actually makes the phone less intuitive to use. The notifications panel is a good example — quick settings toggles, and a large QSlide apps menu take up more than half of the screen, leaving room for just two notifications. LG says the QSlide apps "help you multitask easily" allowing you to watch a video, browse the Web, write a memo, dial a phone number, write a text message, see the calendar, use a calculator and more, while another application is open. You can open up to three of these apps at once and keep them on the screen while you switch between regular, open applications, but we found it easier just to use the regular multitasking menu (holding down the home button) to switch between apps. Thankfully, you can remove the QSlide menu completely if you wish. There's plenty of other LG-exclusive features, too, but most of them don't add much to the overall user experience. 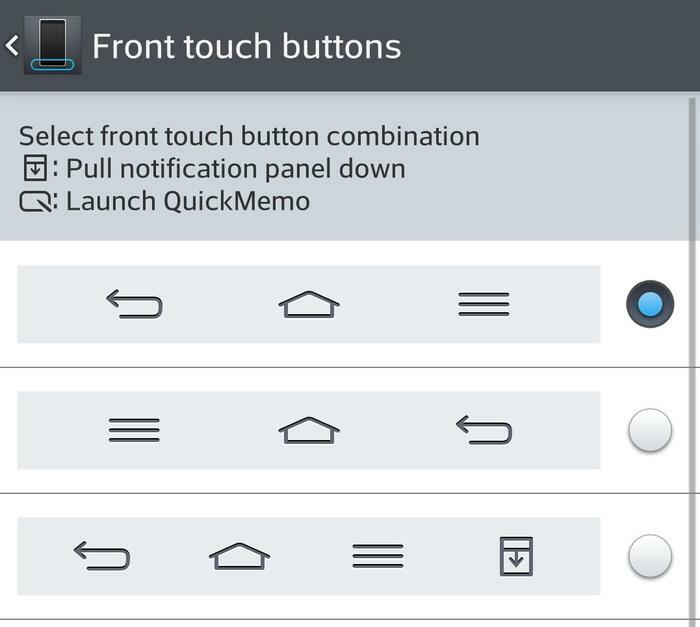 QuickMemo lets you use your finger to write on screenshots, handy if you need to take a quick note or jot down a phone number, but hardly a reason to opt for the G2 over competing handsets. 'Answer Me' automatically answers the call when you raise the phone to your ear, 'Plug & Pop' recommends apps when you plug in headphones or a USB cable, and 'Text Link' suggests what you want to do when you select text. LG's Slide Aside feature is best avoided. Many of them feel like changes for changes sake. 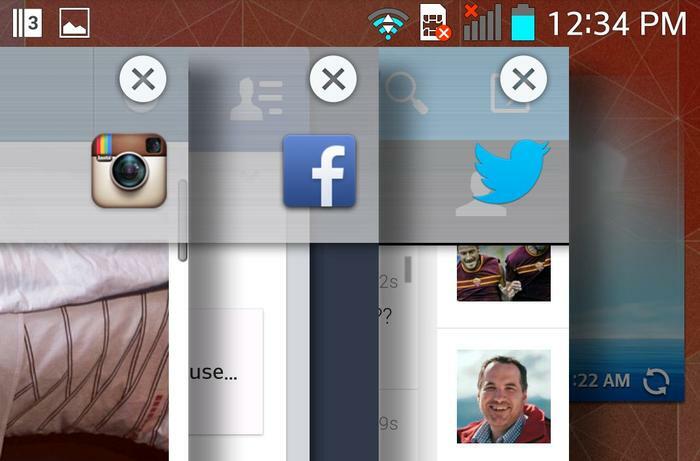 The worst feature of all is LG's take on multitasking, called 'Slide Aside'. It allows you to "save" running apps by using a three fingered gesture to the left, essentially keeping them running and accessible via a notification in the status bar. The awkward gesture often results in accidentally bumping or tapping something you don't want to (try it in Gmail and you'll archive an email), you can only save three apps at a time, and again, it's really no quicker or better than using the regular multitasking menu. There are plenty of other software issues, too. 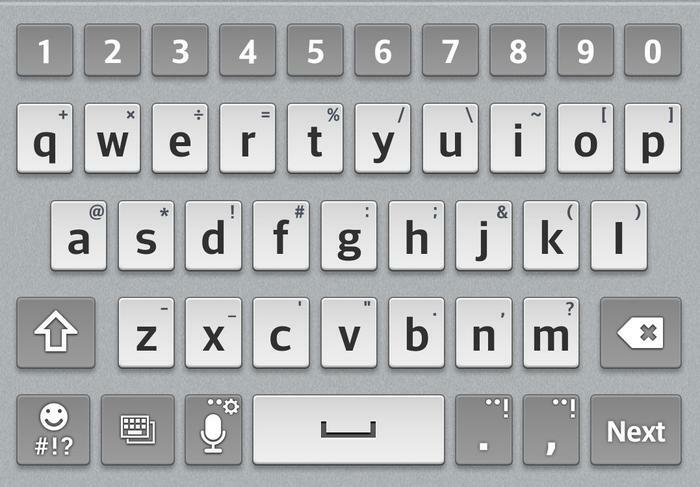 The default keyboard may add a handy number row at the top, but its autocorrect software is poor, and the number pad in a numbers only field lacks decimal point and minus signs. You can conveniently edit the front touch buttons, but there's no option to switch to Android's default multitasking button instead of a menu key. There's also way too many pre-loaded apps that you'll never use, like LG Backup, Life Square, Notebook, and LG SmartWorld. LG has made plenty of changes, but many of them feel like changes for changes sake, rather than new features that improve the overall user experience. Thankfully, all that extra software doesn't slow down the G2. It remains one of the fastest and most responsive Android phones we've used, no doubt helped along by Qualcomm's new 2.2GHz quad-core Snapdragon 800 processor, and 2GB of RAM. 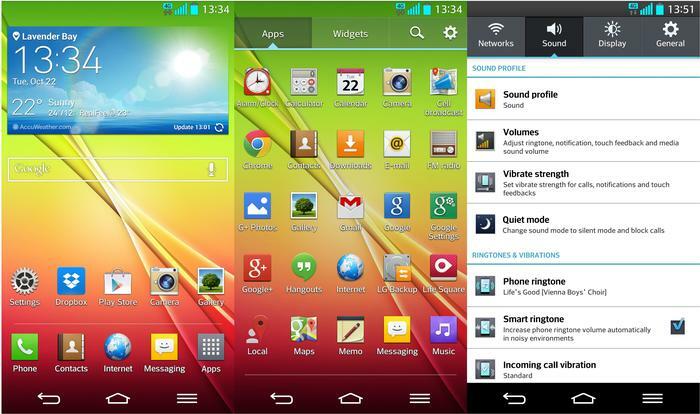 LG's default launcher is slick and fast, scrolling is smooth, and most apps open instantly. We didn't experience any performance issues, or lag, and the device handles most graphically intense games, including Real Racing 3 and FIFA 14 without skipping a beat. The only real complaint is the lack of removable storage. The 32GB of internal memory will be enough for most, but if it's not there's no microSD card slot for memory expansion. In New Zealand, only the 16GB version is officially available, also without microSD card slot. 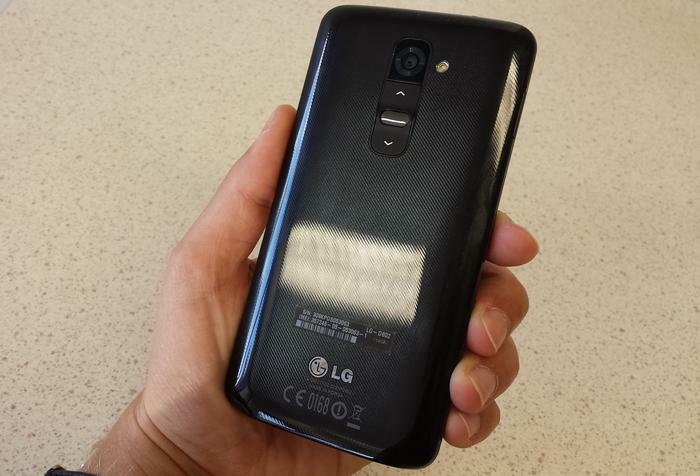 The LG G2 has a 13-megapixel rear-facing camera with optical image stabilisation, and a front-facing 2.1-megapixel camera for video calls. Like the rest of the software, LG has added a wealth of options and settings to the camera application. There's a whopping 12 modes in total, including the ability to remove objects or people from photos, panorama, burst shot, time catch and intelligent auto modes. The app is surprisingly intuitive, much more so than most of LG's other software, with most controls and settings easily accessible. We found photos captured with the G2 impressively detailed, especially outdoors in good lighting. However, indoor performance was less impressive with image noise and grain hindering many of our shots. Overall, the G2's 13-megapixel camera isn't significantly better than its competitors, particularly the Samsung Galaxy S4. It also lacks the true quality of the Nokia Lumia 1020, and the speed and all round excellence of the iPhone 5s. Aside from its excellent display, battery life is perhaps the one other most impressive feature of the LG G2. We regularly pushed up to 14 hours of use out of the handset, which is excellent for heavy users. In most cases, the G2 almost lasted a full day, whereas many other Android phones end up dead early in the afternoon. The large 3000mAh battery is certainly put to good use here. 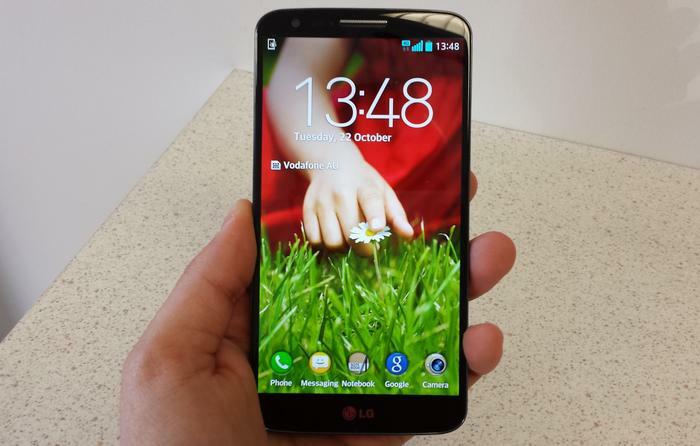 The LG G2 is expected to be released in Australia in November, and will initially be exclusive to Optus. 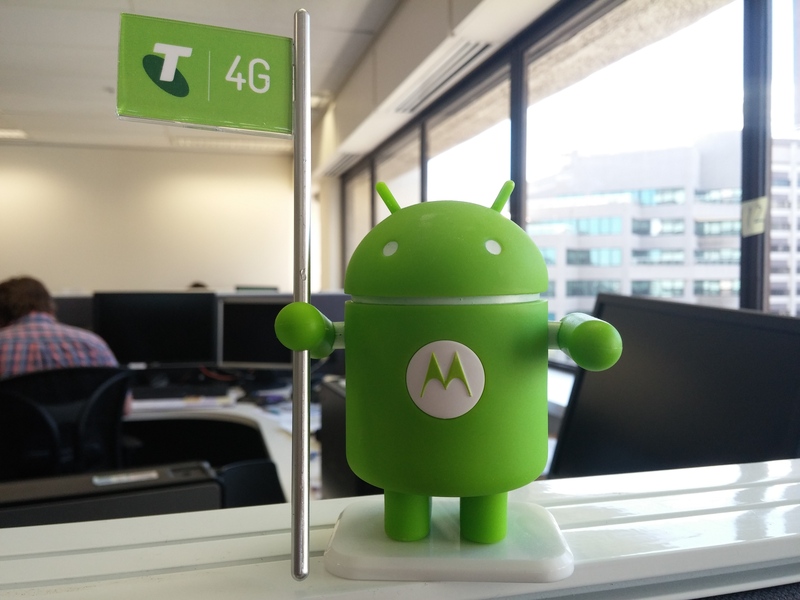 The handset will have an outright RRP of AU$699. In New Zealand, the G2 is on sale exclusively through Harvey Norman, at NZ$999 for the 16GB version, in black or white. It is available via various parallel importers for as low as NZ$680 (16GB)/NZ$702 (32GB).